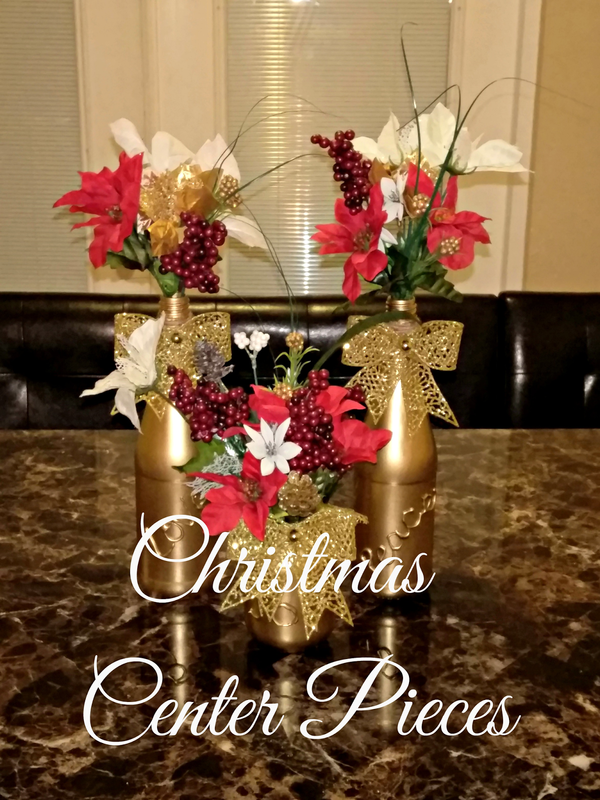 I took a small break from Blogmas because I'm not the best at everything even thou I'd like people to think I am but I'm back and I decided to give DIY a try for Christmas this year. Decoration can be pretty pricey and I had something kinda glam in mind for table center pieces. 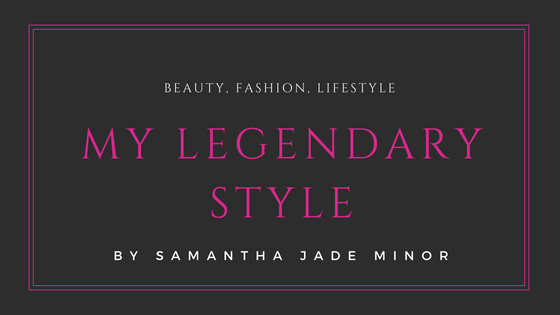 I took to Pinterest to find out how to do what I had in mind and get some inspiration while I was at it. 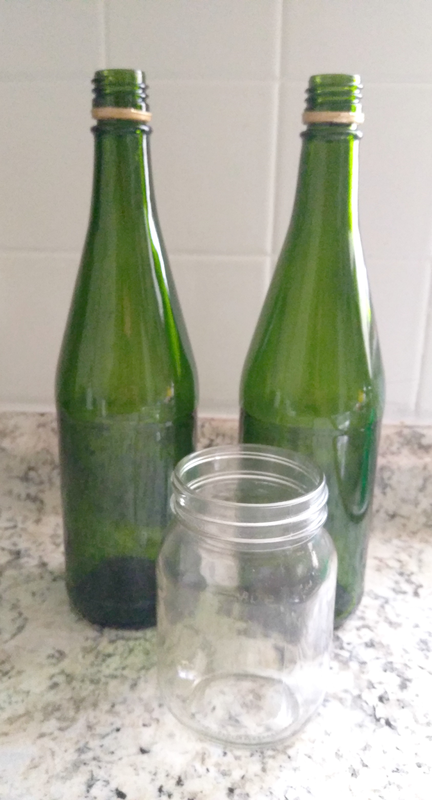 I started out with 2 bottles from some sparkling cider we had from Thanksgiving and a mason jar from Michael’s. Now if I was a professional DIYer I would not have forgotten to take a picture of the bottles with the labels still on but we’re just gonna go with it. Which brings me to this… how I actually got said labels off of the bottles. After a quick Google search I found out I needed a sink full of super-hot water (I boiled a big pot). 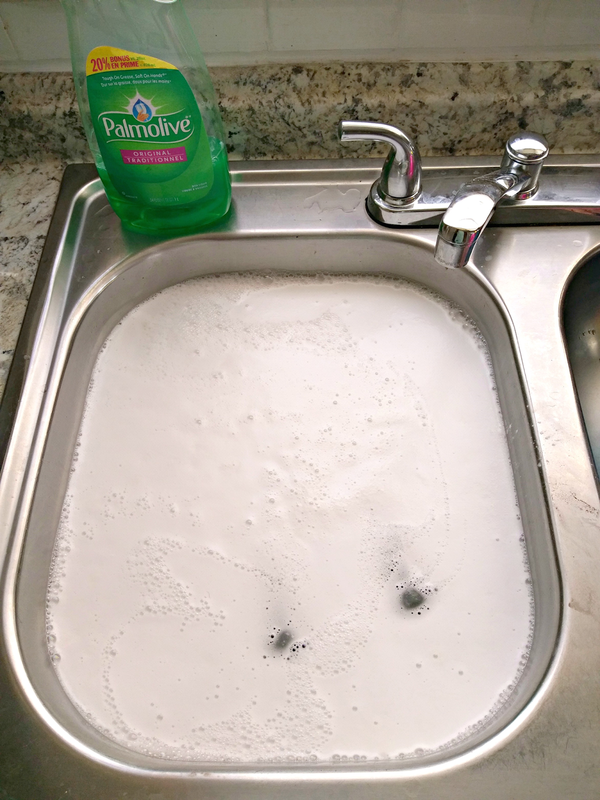 I filled each bottle with hot water from the faucet and dropped them in the sink. After letting them soak for a minute I added the following… ½ cup baking powder, 1 tablespoon of dish soap, and 2 cups of vinegar then I let it soak for 30 mins. Everyone said the labels would just peel right off but I’ll tell you now… I did a bit of scrapping with a butter knife then scrubbed with a sponge until I was happy with the results. 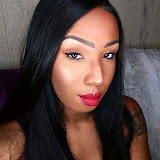 Again because I’m a horrible DIY blogger (unless it’s makeup uh helloooo lol) I didn’t film or take pictures of the next steps. The good thing is there are a lot of pins on Pinterest to show you how I did it anyway. In short, I got a hot glue gun and wrote words on each bottle. 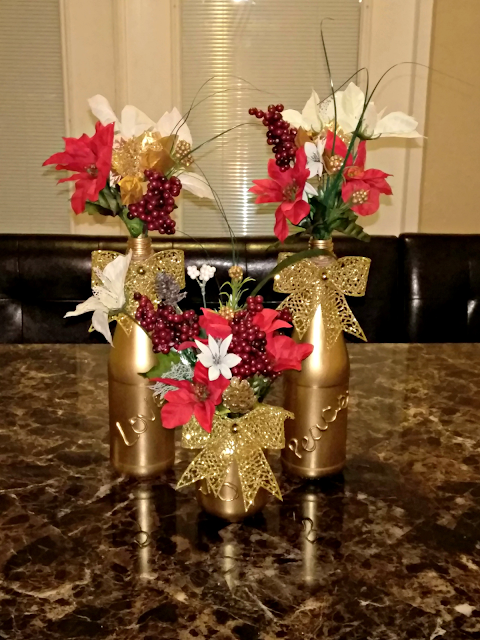 Next I spray painted each bottle gold then stuck in flowers from Dollar Tree and Voila!!! It’s Christmas magic! I have my center pieces. 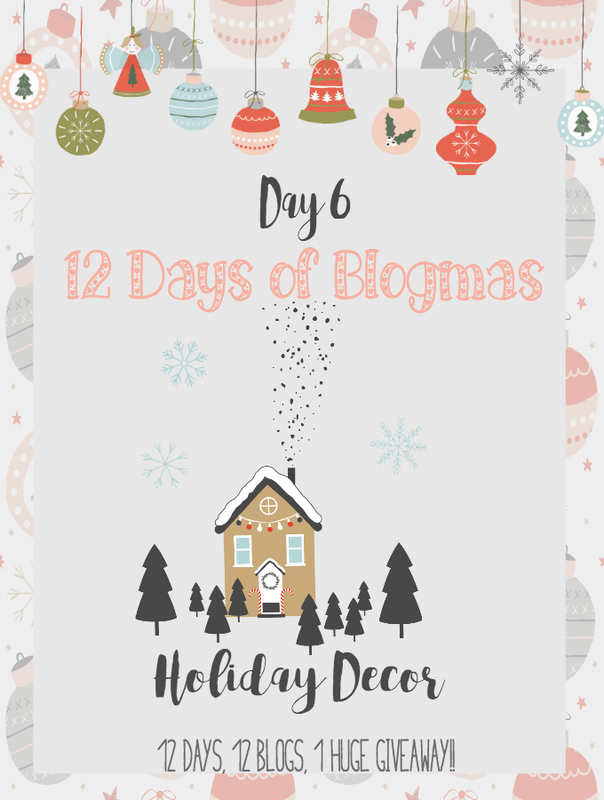 Click away down below to see what the other ladies are doing for Holiday décor and if you haven't entered the giveaway yet click here to do it now! 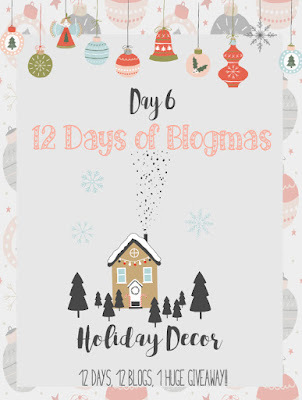 See more 'Holiday Decor' posts from the Blogmas bloggers!